SOFIA (Bulgaria), April 5 (SeeNews) - A billion euro contract for the construction of a gas pipeline, a 100 million euro Chinese investment in a new car parts factory, the launch of production of a SUV featuring a mild-hybrid powertrain technology, and a decision on lower roaming fees - these were the most interesting business developments in Southeast Europe during the past week. Bulgartransgaz, the state-owned Bulgarian gas transmission network operator, said on Wednesday that it has picked a consortium comprising Saudi Arabia's Arkad Engineering and Construction Company and Italy-registered Arkad ABB to build a 484 km pipeline for transit of natural gas from the border with Turkey to the border with Serbia. The consortium has offered to build the pipeline for 1.29 billion euro ($1.45 billion) within 250 days, or for 1.10 billion euro should the deadline be extended to 615 days, Bulgartransgaz said in its decision. DZZD Consortium Gas Development and Expansion in Bulgaria, comprising Italy's Consorzio Varna 1 and the Bulgarian branch of Luxembourg-registered Completions Development, was ranked second in the tender, with price offers of 2.41 billion euro and 1.60 billion euro for the respective construction periods of 250 days and 650 days. A third candidate, a tie-up of ОТ Industries Fovallkozo Zrt. and OT Industries – KVV Kivitelezo Zrt. was disqualified by Bulgartransgaz. At the end of January, Bulgartransgaz successfully completed the binding Phase 3 of the economic test for the project - part of a larger project of Russia's Gazprom to build a string of its TurkStream pipeline for transit of gas to Europe from Turkey via Bulgaria, Serbia and Hungary. The offshore section of the TurkStream pipeline stretching 930 km across the Black Sea from Russia to Turkey consists of two parallel strings with annual throughput capacity of 15.75 billion cubic metres of gas each. One string is intended for consumers in Turkey, while the second will carry gas to customers in Europe. In another development related to Bulgaria's gas infrastructure, the European Commission said on Tuesday it has approved 33 million euro ($37 million) in EU financing for the construction of the gas interconnector Greece-Bulgaria. Also on Tuesday, ICGB, the company developing the Gas Interconnector Greece-Bulgaria project, said that Greece's J&P-AVAX and a tie-up named IGB-2018 have submitted offers in the tender for awarding a contract for construction of the gas link. The tender is worth an estimated 145 million euro, VAT excluded. According to previous statements from ICGB, the IGB-2018 tie-up comprises Italy's Bonatti, and Bulgarian construction companies GP Group and Glavbolgarstroy International. ICGB is planning to complete the selection process next month, paving the way for construction works to begin in June. The deadline for completing construction works is 18 months from their start. The IGB pipeline will connect the Greek gas transmission system in the area of Komotini to the Bulgarian gas transmission system in the area of Stara Zagora.The planned length of the pipeline is 182 km and the projected capacity will be up to 3 billion cu m per year in the direction from Greece to Bulgaria. Depending on interest from the market and the capacities of the neighbouring gas transmission systems, the capacity of the pipeline can be increased up to 5 billion cu m per year, thus allowing for physical reverse flow from Bulgaria to Greece with the additional installation of a compressor station. The gas link is estimated to cost 220 million euro overall. The project company has secured a sovereign guarantee of 110 million euro which could ensure loan financing under preferable conditions. ICGB is a 50/50 joint venture of state-owned Bulgarian Energy Holding (BEH) and Greece-registered IGI Poseidon. Greek public gas corporation DEPA and Italian energy group Edison own 50% each of IGI Poseidon. Chinese car parts manufacturer Minth has started the construction of a production plant in Loznica, in western Serbia, the Serbian president's office said. 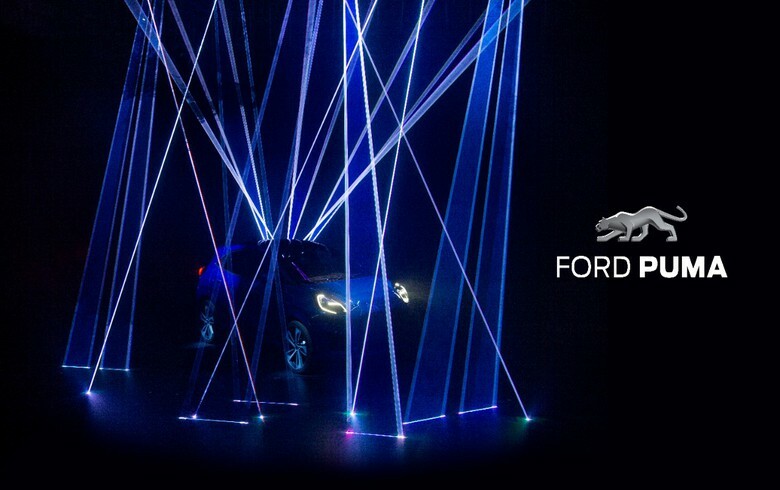 Ford Motor Company said on Wednesday it will start production of the Puma model at its assembly plant in Craiova, Romania in the second half of the year. The countries of the Western Balkans signed an agreement on Thursday to abolish roaming fees in 2021, the Serbian government said. The agreement was signed by government officials during the Western Balkans Digital Summit 2019 taking place in Belgrade on April 4 and 5, the Serbian government said in a statement. Under the agreement, a transition period will start on July 1, 2019 when the roaming fees for calls between Serbia, Bosnia and Herzegovina, Montenegro and North Macedonia will be lowered by 27%, while for Albania the reduction will be 85%. The prices for a minute of call between the countries will be up to 22.4 Serbian dinars ($0.21/0.19 euro), the maximum price for an SMS will be 7 dinars and the highest price for data transfer will be 21.4 dinars, the government noted. At the end of 2014, the telecommunications regulators of Serbia, Montenegro, Bosnia and Macedonia signed an agreement to reduce roaming fees for their citizens. The lower roaming fee were introduced on June 30, 2015.